Maximize business performance with greater agility, enhanced visibility, increased performance and improved efficiency. Riverbed gives you enterprise-wide insights to spur innovation, reduce the cost of running your business, and boost productivity at every level. Riverbed provides the most complete platform to optimize application performance and Wide Area Networks. 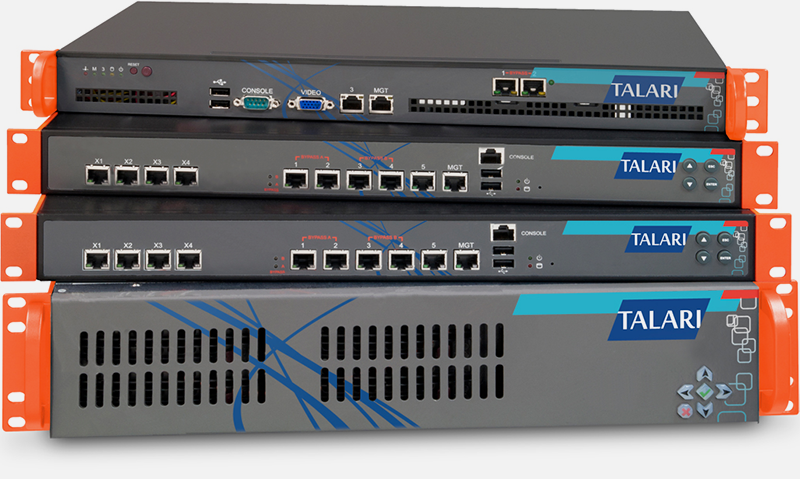 Talari Networks is transforming and simplifying the WAN and branch office by delivering a proven and trusted Software Defined WAN (SD-WAN) solution. A Talari Software Defined WAN solution creates a smart and responsive network across any network type including Hybrid WANs, Internet-as-WAN or WAN to Cloud-enabled networks. A Talari SD-WAN requires little human intervention, simplifying management and administration. It adapts in real time to bandwidth demands and network conditions, provides visibility into WAN and application performance and ensures application availability while lowering cost. Quality problems on corporate networks result in dissatisfaction, customer support calls and loss of business productivity. An intelligent network can ensure that high-value applications and real-time traffic meets the business quality expectations. Procera provides the capability to structure broadband data, transform it into actionable intelligence, and empower network administrators to make informed decisions, immediately.